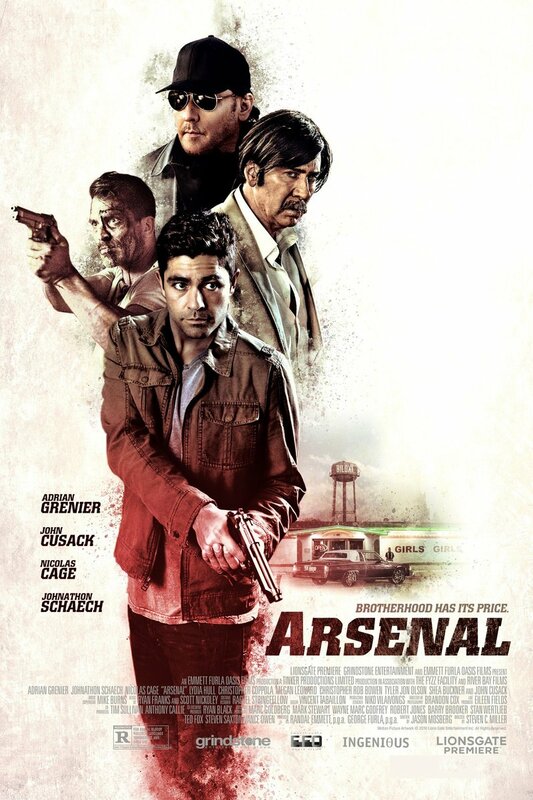 Arsenal DVD and Blu-ray release date was set for March 28, 2017 and available on Digital HD from Amazon Video and iTunes on January 6, 2017. Mikey is a small-time gangster, while his brother, JP, runs a successful construction company. When Mikey runs afoul of criminal boss Eddie King, JP's only chance to save his brother is to turn to his old friend Sal, a police detective. But it won't be easy -- King is unstable, ruthless, and has an army of thugs at his command. How far is JP willing to go to rescue Mikey?